Race horses will often spend the winter months on a lighter training schedule and will need plenty of preparation in early spring to be ready for the racing season. 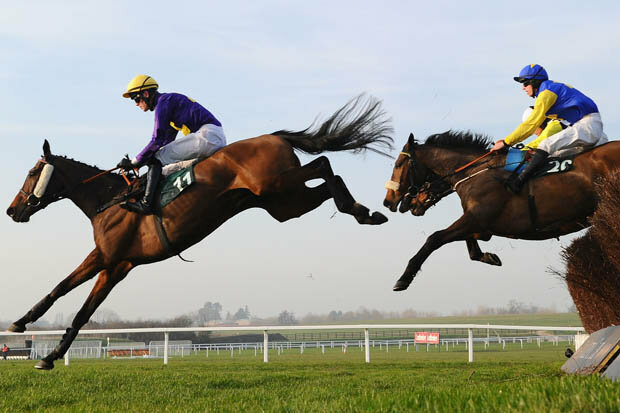 Owners will be desperate to get their horse back to full fitness as early as possible in preparation for some of the biggest races of the year including the Cheltenham Gold Cup and the Grand National. New or potential race horse owners will need to be made aware of the various steps they will need to take to make sure that their horse is ready for the racing season in order to improve their horse racing odds. An organised owner can be the difference between a horse that is prepared to win the big races and a horse that falls at the first hurdle at the races. We have produced the following list of what race horse owners do in order to prepare their horse in the spring. The first things owners will be doing is taking their horse to the vets for a check-up to make sure that the horse is healthy enough to begin training. The vet will be looking for any problems that could prevent the horse from competing and aiming to treat them as soon as possible so the horse can make a recovery as soon as possible and can prepare for the racing season. During the winter, a horse’s hooves can be neglected and the weather conditions, particularly in the UK can cause problems such as thrush and sole abscesses. While the vet can treat these issues, a farrier will be required to correctly shoe the horse to prevent further problems from developing. Thrush and sole abscesses are caused by the wet muddy conditions that winter often brings in the UK and making sure that your horse has clean hooves can help prevent these conditions from worsening. Checking the horse tack is another important stage of preparation for horse owners as they need to make sure all of the equipment is in good condition and is clean. Wear and tear has the potential to cause injury to both the rider and the horse, which is far from ideal and if the tack is not kept clean then germs and bacteria could get into any accidental cuts to the horse and cause problems. Over the course of the winter months, damage to the fences of the paddock can become apparent and it is best to repair any fence posts and wires that may have been damaged. Until the fences have been fixed, it is best to not let the horse near that area, as the damaged fences could potentially injure the horse. As well as checking the fences for damage, the paddock will need to have the grass seeded and the use of fertiliser to encourage the growth of healthy grass. The benefits of this will be that the horse is able to train on a more familiar surface following on from winter and will be able to get back into peak condition much sooner. Removing any poisonous plants that may have grown in the paddock is essential for preventing any mishaps with the horse. Encouraging the horse to eat in different areas of the field will help to prevent bald patches from appearing and instead create a more equal appearance. Creating a schedule is important for preparing the horse for a big race, while being able to slowly bring the horse back to peak condition. Training is important for a horse as too little training will produce a sluggish race from the horse, while if you train the horse too much and too soon then the horse will appear too tired and will be more prone to injuries. As well as creating a schedule for race preparation, it is also worth slowly reintroducing the horse to running and riding. By taking things steady, the risk of the horse picking up an injury is reduced and the horse can slowly begin to regain its strength and stamina. As the horse begins to return to full fitness, the owner can slowly start to increase the intensity of the training to get the best out of the horse. Finally horse owners will be looking at changing the horse’s diet to best reflect the change in energy used throughout the day. While the winter months are more relaxing and involve less energy, when spring comes and the training begins, the horse will need to be eating the right foods and the right quantity. If there is a frost during the spring, it is best not to let your horse eat the grass as the frost can give the horse an upset stomach.